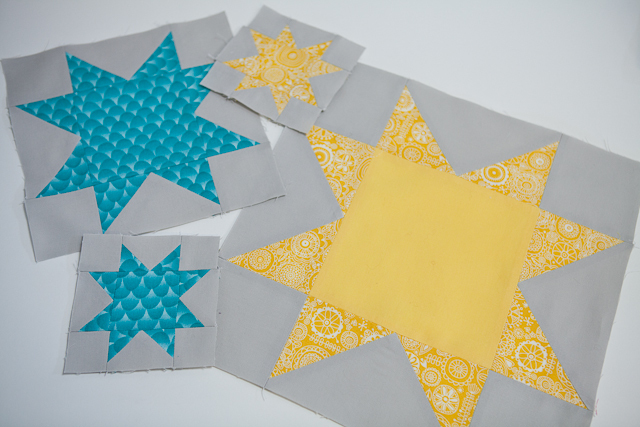 December block - pattern by Cut to Pieces, it is called Ring of Stars. This block has a lot of little pieces and I struggled with point placement. In the end I was just happy that they were done and the right size! January block - pattern by Thought & Found. This has to be the easiest way so far to do sawtooth stars. I really do love that about my group - great inspiration and tips to easy tutorials. I am learning so much by being apart of the Do. Good Stitches group. Something like this pushes you to try things that you haven't or have steered away from for one reason or another. 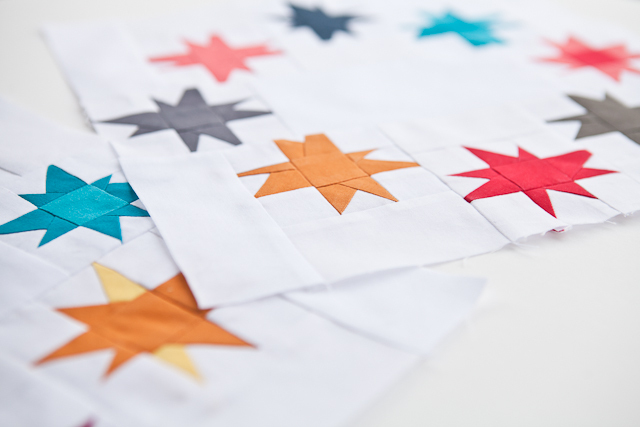 I love these little star blocks so much!